Owning a vehicle in Fairfax Station, VA is a big responsibility and shouldn’t be taken lightly. You owe yourself, whoever is riding with you, and other motorists to keep your vehicle in safe, running condition. Only with periodic auto maintenance will that happen. Proper auto maintenance is more than just simply putting gas in the tank. Just like the human body, we feed ourselves like putting gas in the car. However, if we do not go to the doctor, rather to a dentist, an eye doctor, or a general practitioner, and we let our bodies go, then our health starts to fail. It then ends up costing us more than if we had just gone for our physical once a year. Vehicles are no different, although they do need more than one physical a year, and how frequently will depend on how far you drive, the types of roads you travel on, how rough you are on a vehicle, and weather elements. Brake Pads—Check the fluid level and change it every so often. Keep an eye on brake-pad condition, and replace as soon as safety is compromised. When to replace: Every 2 years or 24,000 miles (fluid), prior to minimum safe thickness (pads). 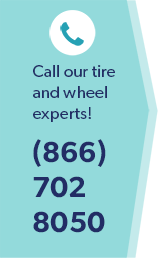 Tires—Check tire pressure and condition of tires monthly, check for uneven tread or irregular tread pattern, rotate tires every 6,000 miles. When to replace: When worn or damaged. Do the penny test. Stick a penny upside down in the grooves and if you see the president’s head, time to replace your tires. Coolant—Check the level regularly. When to replace: Every 2 years or 24,000 miles. Engine and timing belts—Check serpentine and V-belts to see if they are loose or if they are showing excessive wear. When to replace: Every 3 years or 36,000 miles for engine belts or 60,000 to 90,000 miles for the timing belt. Spark Plugs—If your mileage starts to suffer or engine runs poorly, it may be time to replace. When to replace: Every 30,000 to 100,000 miles. Automatic transmission fluid and filter—Fluid to the transmission is what oil is to the engine. Check fluid regularly and top off when needed. When to replace: Every 2 years or 24,000 miles. Engine Air Filter—The air for the engine and air flow sensor need to be free of contaminates which is the job of your air filter. When to replace: 12 months, 12,000 miles or as needed. Battery—Check that your battery is securely mounted and keep battery connections clean, tight, and corrosion-free. When to replace: Typically 48 to 60 months or as needed. Power-steering fluid—Lubricates the system and keeps the steering feel consistent. When to replace:Inspect level with every engine oil change, top off as needed. Fuel Filter—With fuel-injected cars, the filter is continuously doing its job whenever your car is on and the fuel pump is active to prevent impurities from clogging injectors. When to replace: Every 2 years or 24,000 miles. Make sure you also check your windshield wiper fluid and fill when low. Remember the key to having a vehicle running at its best, is with basic auto maintenance. A vehicle is a big investment for Fairfax Station, VA motorists and by doing periodic maintenance, you can prevent major repair bills later and protect your investment.